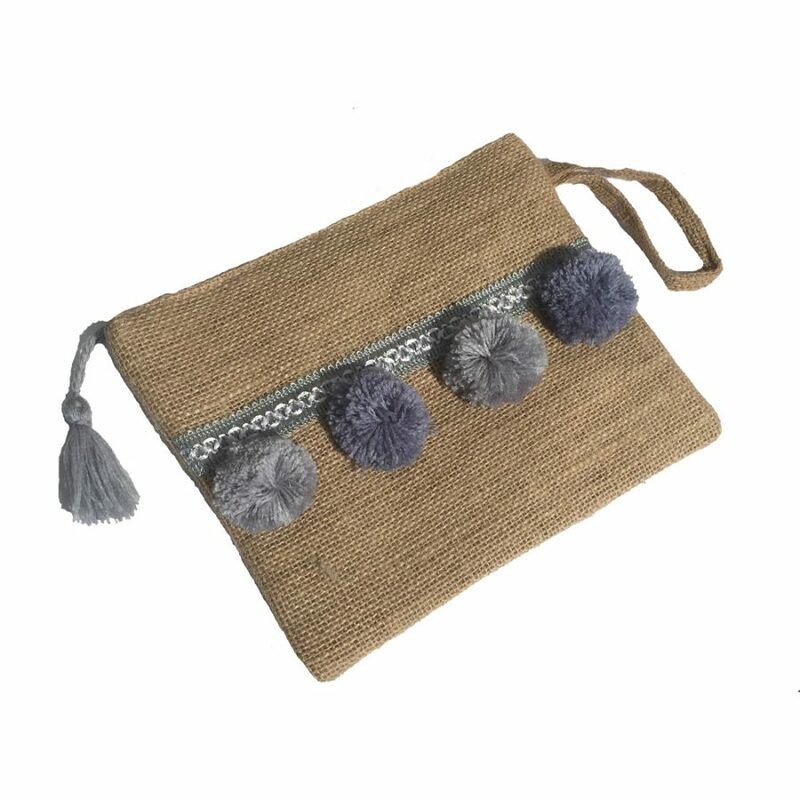 Transform any outfit with this cute pom pom clutch. 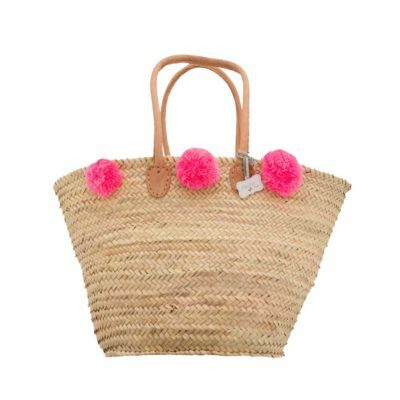 The ultimate statement bag for this season, in natural jute and gorgeous shades of grey or bright orange, pink or turquoise, it is sure to add a pop of fun to your look this season. 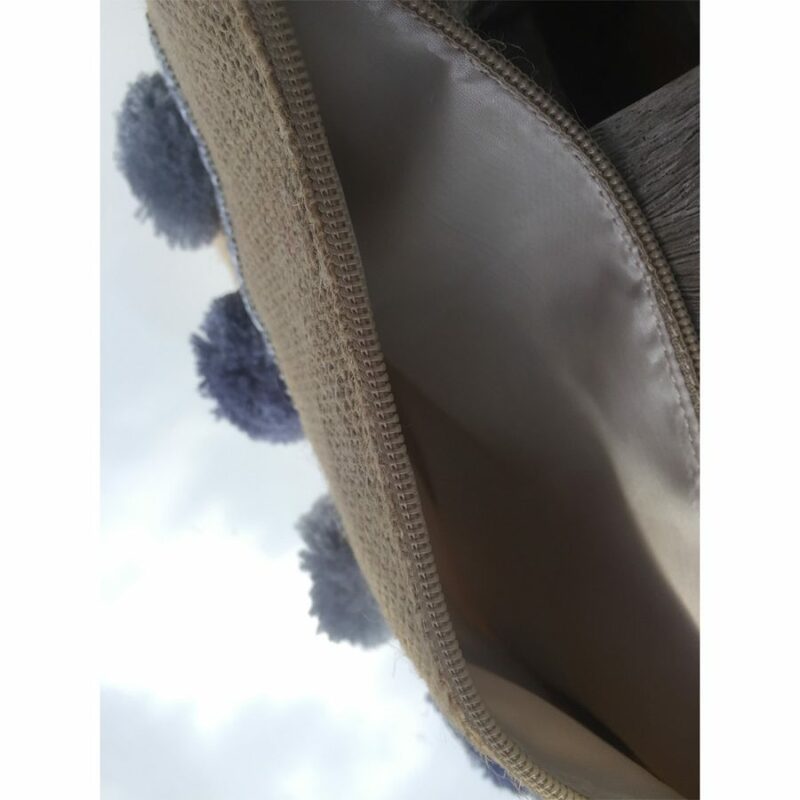 Perfect for a phone, lippy and a few more bits and pieces besides, it is ideal for a casual night out or on your holidays. 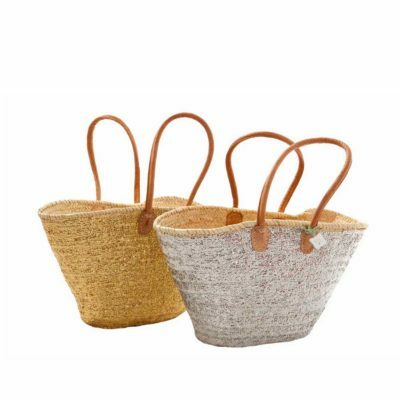 We also think they are fabulous twinned with a basket – for shopping too!